This spectacular window which required movement, lights and some serious motors and mechanisms is truly epic. Two cars go back and forth and crash against one another. A back lit sign which flashes in segments hangs from the ceiling but is made to look like its suspended by a crane holding it in place. The cars, which were made in MDF by Propability and sprayed required quite a complex movement to produce the right effect with the motors and mechanisms all attached to the back wall. A raised angled floor with display wedges was created and steel oil cans sourced resprayed and branded. 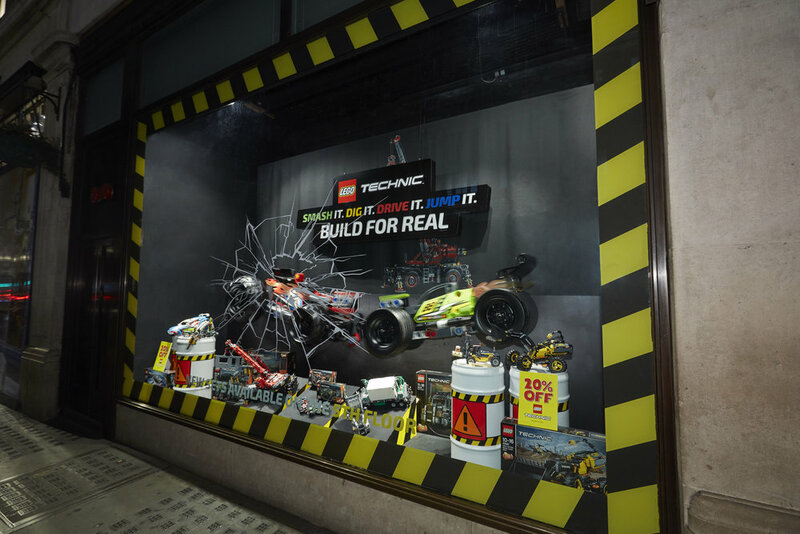 An impressive, impactful display that brings the product to life and says build me now!